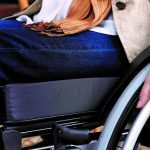 When choosing a children’s wheelchair, some of the things you may want to consider are versatility, adaptability, and personality. Not many chairs meet all three of these requirements. 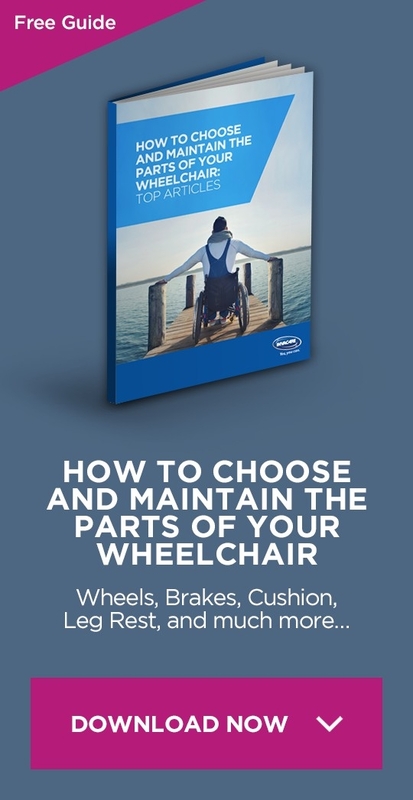 Check out this checklist that details the considerations you want to make, as well as lists some general tips on how to choose the right chair. One chair that meets all requirements well is the Invacare Action 3 Junior. It has been designed to work well in different environments, to grow with the child, and to allow for personalization. 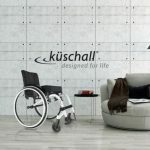 A versatile wheelchair can be used easily in many different situations. Children spend time at home, at school, and at play. They need a wheelchair that can easily move from one setting to the other. One family I knew chose a different mobility aid for their child, that was more similar to a stroller. When the child went to school, he was unable to propel himself and independently get around the classroom. The teacher had to find a different wheelchair for him to use in the classroom so that he could push himself and play with his friends. It is not ideal to have to use one mobility aid at home and another at school. When choosing a wheelchair for your child, consider how well it will function for him outside of your home, and how well he will be able to use it when you are not around to help. Another consideration when choosing a children’s wheelchair is its adaptability. Children grow so fast! The process of measuring, fitting, and ordering can take a while. A chair that is not adaptable will not last long after its arrival. I’ve met children who have outgrown their new wheelchairs almost as soon as they’ve gotten them. One little boy had outgrown his chair by the time it arrived. And my own daughter outgrew one of her sports chairs in just six months. That’s why adaptability is so important. The Invacare Action 3 Junior is able to develop along with your child with specific seating adjustment. It has a telescoping cross brace, and the seat width and depth is easily adjustable. The ability to make quick growth adjustments is the perfect solution that will keep you one step ahead, and not finding yourself having to use an ill-fitting chair while waiting on an order for the next size up. All children are different! Ask any parent who has more than one child, and they will tell you that even within the same household children have different personalities. And as they grow, they like to choose their own style, whether it’s their haircut or clothing. That’s why it’s nice to find a wheelchair that is customizable enough to allow your child’s personality to shine. A wheelchair is like a part of their body. I’ve seen children who have decorated their chairs with stickers, or nail polish. Kids love to make things their own design! The Invacare Action 3 Junior comes in six different colors. It also has three different options for spoke guard designs. Having the ability to choose their own style is important to all children, but it is especially important for children who may feel limited in other areas. 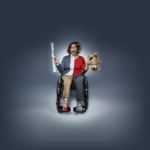 So when it’s time to choose a children’s wheelchair, keep in mind the three factors of versatility, adaptability, and personality. A versatile is important to keep your child moving around seamlessly from one environment to the next. An adaptable chair will grow with them and keep them comfortable for longer. And a chair that allows them to express their personality is just what a child wants, as they grow and develop individual tastes. The Invacare Action 3 Junior has all of these features, which makes it an excellent choice for anyone who needs a lightweight, paediatric wheelchair.